Dr. Brent French is a 2012 graduate of the PhD Program in Leadership and Change at Antioch University. 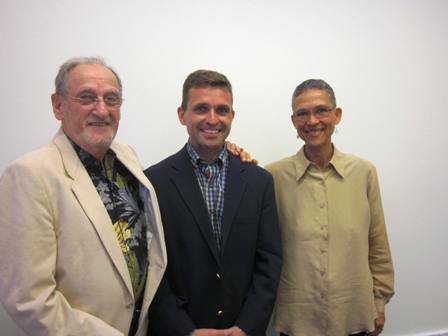 Dr. Brent French [Center] at his Dissertation Defense with Dr. Al Guskin, Dissertation Chair [Left] and Dr. Philomena Essed, Dissertation Committee Member [Right]. French, Brent, "The Reintegration Myth: An Interpretive Phenomenological Inquiry into the Reentry Experiences of Air Force Reservists Returning from Afghanistan" (2012). Dissertations & Theses. 17.